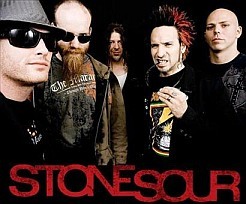 Blabbermouth.net: STONE SOUR has tapped Rob Cavallo (GREEN DAY, DAVE MATTHEWS BAND, PARAMORE, KID ROCK, AVRIL LAVIGNE, SHINEDOWN, MY CHEMICAL ROMANCE) to produce the band's forthcoming third album, which the group is due to begin recording this February. 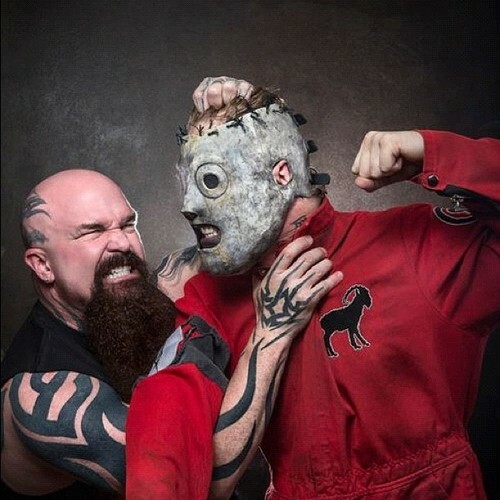 "He's worked with a lot of people and it's going to be awesome," singer Corey Taylor told U.K.'s Metal Hammer magazine. "I can't wait to see what he does with us, man. We took a couple of meetings with him and he's really, really stoked on the music. I think this is probably a little heavier he's used to but I have every confidence we're going to make a great album together." Regarding the musical direction of STONE SOUR's next CD, drummer Roy Mayorga said, "It's sounding very different from the last record in every way now that there are five writers, including myself. Some songs are heavy, dark, melodic and with a lot of color. A very well-rounded record this is going to be." Taylor told Noisecreep that the band already has "ten tunes fully written and another 15 we're kind of working on here and there. When I'm not on the road I'm still working, I never stop. And it's really good, everything we're doing is really, really good." As for what the follow-up to 2006's "Come What(ever) May" will sound like, Taylor hinted, "I can say the material is darker than 'Come What(ever) May', but a lot more melodic, a lot stronger, a lot more mature, and the lyrics that are coming out of me are really good. I'm really excited." Taylor's main group, SLIPKNOT, just wrapped up more than a year of touring behind its 2008 album, "All Hope Is Gone", as well as a year-long celebration of the 10th anniversary of its major label debut.